1:25 | New Alexa skill! 1 | New Alexa Skill! If you use an Alexa-enabled device, you can now enable “the a. p. professor podcast” Alexa skill to listen to any episode, navigate within episodes, and save your place for your next listening session. Just keep this in mind when you do eventually join this growing trend! Follow The A&P Professor on social media! Click the icons at the top right margin of this page. A huge library of science photos, videos, audio, and other objects you can use in your course—from the National Science Foundation (NSF). Learning the bones and bone markings of the skeleton can be an early, scary experience for A&P students. 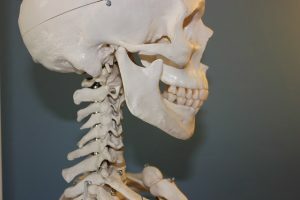 How can we prepare and support them to learn the skeleton effectively—and learn skills to help them in their continuing studies of human anatomy?